I develop a bunch of tools for my own use that usually run in the terminal, for the simple reason that this maximizes their usability to me. It's also true that usually a terminal program takes much less code and effort to write than a gui program. But occasionally I want to make something of mine usable to the so-called "end users" that we keep hearing about. So what I was wondering about was: What would it be like to add a gui to an existing python program and run it on .NET? How do you find out? You try it. This is something that I've been meaning to try for a while anyway. This is the first time I've used gtk. I've written one program in the past using winforms and it was quite painful, so I wanted to try gtk. To build the gui I naturally use glade, which is the best gui design experience ever. I then have to find out how to connect the signals, write the handlers and all that stuff. Mono's api docs on gtk seem quite complete, so you can usually find out what you need to know. I seem to remember looking at these in the past seeing nothing but "Documentation for this section has not yet been entered", so perhaps they have improved this recently. I have to say they do use the beloved javadoc model of having the left frame list all the classes, which makes navigation a pain. Api doc presentation is not really known to be a cutting edge field, it really could use work. Then again, the presentation of the docs can't help reflect the organization of the api to a large extent and if your api is organized as a kingdom of nouns rather than thematic modules then there's probably little magic the api doc guy can wield. In general though, I get the impression that the more you know about gtk the more it makes sense, it seems a really well engineered toolkit. This, of course, in stark contrast to winforms, where the more you know about it the worse it gets. I don't know what gtk is like in c, but at least under .NET it doesn't have the manual memory management "feature" of winforms. Gtk is hugely superior in many ways and that I don't think is even debatable. The layouting is great, internationalization support is painless, pango rendering is lovely and lets you use markup etc. One advantage that winforms has is the way it appears under Windows. But this I think is more a theming issue than a toolkit issue. Winforms looks nice under Windows and gtk looks mediocre. On the other hand, if I boot Mono's livecd with the latest mono on it, and I run the samples there, gtk looks lovely and winforms looks atrocious, even though this is ostensibly supposed to demonstrate how well both of them run on the latest mono. So I take it from this that simply not enough people care about gtk on Windows to make it look better. For the python coder, you can apply the api docs for c# directly, because the binding exposes the same names to python. This is very helpful. There are also quite a few pygtk examples around the web you can find if you need to discover how to do something in gtk. Let's start with the positives. If you give it an existing python program and tell it where the standard library is, it will run your program. In this case I had to work around some platform nastiness and patch some code that's using os (throwing false positive OSErrors on file renames) that works fine on CPython/Windows but doesn't on IronPython/Windows. But in general it seems to work quite well. But if all you're going to do is write code using the standard library, there is absolutely no reason to use IronPython. How do you access .NET apis from Python? No, seriously, that's not a rhetorical question. IronPython ships with a number of assemblies, so where are the api docs for these? Are they browsable on the web? Are they viewable locally? The only thing I can see documentation wise is, next to IronPython.dll, something called IronPython.xml. It seems to be an aggregate of all the inline api comments in the source code. Is this it? Is this how you're supposed to view the api doc? IronPython 2.7 does something interesting. It ships a file called IronPython.chm, but only the .msi installer package includes this. As I'm sure the IronPython guys are well aware, the installer is Windows only and the .chm file too is Windows only (although I think there is something called kchmviewer that could read it). In fact, the .chm file is basically the original Python 2.7 documentation (written in .rst, which compiles to html), renamed to IronPython 2.7, and includes a few additional pages about IronPython. Except that instead of throwing the html files on the web or including them in the download, they have compiled them into a .chm which they only give to the Windows people. And this is supposed to be a platform independent runtime? Is this a prank? IronPython ships some examples, but it's not enough to figure out how to use the apis. To write a veritable IronPython gui program you need to produce an assembly, which has to be compiled with -target:winexe so that it does not show a terminal window on Windows. The simplest way seems to be to write a wrapper in c#, using the runtime hosting api, and execute your python in there. That's what the Pyjama project uses (they also use gtk#), so I was able to look that up. But when I needed to set up sys.argv and sys.version using the hosting apis before launching the python I had no idea how. How are you supposed to find this out without documentation? Easy, right? Yeah, when you know it, of course it is. But what if you didn't? How would you know that there is a function ImportModule in the Python namespace? And how do you set sys.argv? You could actually use this method to recursively dir() the assemblies and produce a map of what's in there, generating some kind of api doc in the end, but this is getting quite out of hand now. At this point I was going to mention msdn and how that ought to host all the .NET related api docs you could ever want, but I see that the site is even worse than it used to be and I don't have the palest idea of where to find anything anymore. I can only imagine that if you install the latest Visual Studio Ultimate Premium Professional it will enhance your hard drive with untold gigabytes of xml compiled to a proprietary binary file format worth of api docs, which you can only browse in the proprietary api doc reader, which internally just renders html anyway. But actually, since IronPython was ousted by Microsoft and since it has the stigma of being an open source project, it could well be that it would be considered too tainted to include its api docs in the Visual Studio-installed doc browser. As your final recourse, I suggest you warm up your grep, git clone this IronLanguages repo and hope for the best. And the rest of the stack trace doesn't mention the python code at all. Better than "Segmentation fault", yes, but not by a whole lot. No filename, no line number. This being the case I would strongly recommend developing your python with CPython first and then, once it's in good shape, build the gui so you can do most of your debugging under CPython. I mentioned IronPython 2.7 earlier, but funny thing, I've never actually tried it. 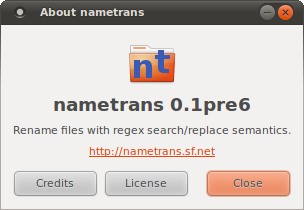 The 2.7 release is compiled against .NET 4.0, which is not supported by the mono packages in Ubuntu. I thought that since I have everything working with .NET 2.0/IronPython 2.6 I could just throw in the newer assemblies, run my makefile and compile it against .NET 4.0, on a mono release recent enough to support 4.0 (such as the mono livecd I mentioned before). But no deal. And if you just install .NET 4.0 under Windows it doesn't come with a compiler or anything, so there's no way to try it. So how responsive is an ironpython/gtk application, even a tiny one like this? Start up speed on my Ubuntu system is something like 4s, which is just about fast enough not to notice that it runs on IronPython instead of CPython. But Ubuntu uses gtk natively, so the libraries are in memory. On Windows it varies from a warm start of 6s to 20s+, for a cold start. In the worst case the first hello message from python appears after maybe 5s, so the rest must be accounted for by loading gtk. Once it's running, it can be a bit sluggish, in particular halting the program on Ubuntu sometimes seems to freeze the gui for a few seconds before it goes away. On Windows the issue (as usual) seems to be io. This program scans the filesystem whenever the input parameters change, which produces a list of files that is eventually displayed in the gui. But I'm not convinced that it's any slower than CPython/Windows. This entry was posted on Saturday, April 9th, 2011 at 3:57 p.m. and is filed under en, reviews.